Portland is a hiking wonderland that extends from the depths of the Columbia River Gorge to the snow-capped peak of Mt. Hood. Situated at the north end of the Willamette Valley, Portland is nestled between two extraordinary mountain ranges, straddles the banks of the Willamette River, and is capped off by the canyon-carving Columbia River which separates the Pacific Northwest states of Oregon and Washington. The City of Portland must have been designed with hikers in mind — it was founded by pioneers who traversed the historic Oregon Trail, after all. Miles of urban paths hug the city’s scenic waterways and meander through the large, forested metropolitan parks. It’s easy to escape the downtown noise when nature is only a few blocks away. 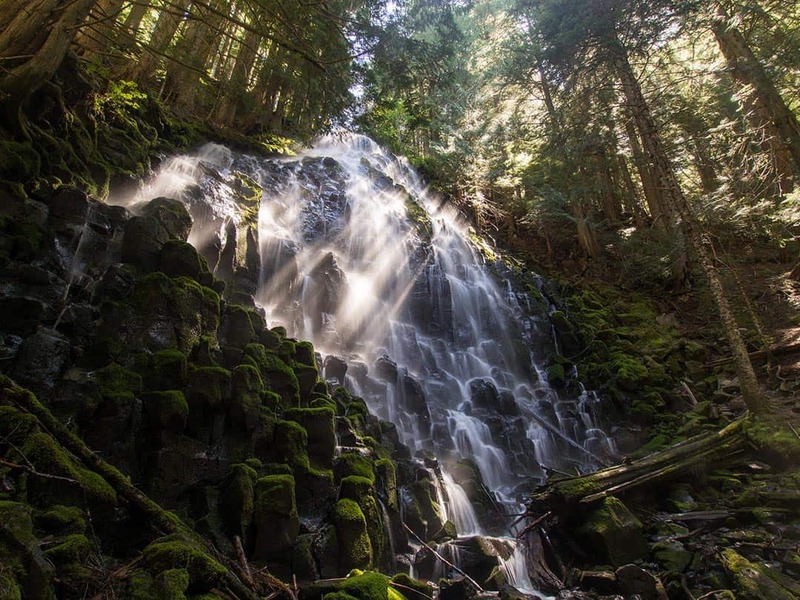 Close by on Portland’s outskirts there are epic trails along the Columbia River Gorge that hold lush waterfalls so magical they’ll have you thinking you walked right into a fairytale. Just a little further down the road you’ll be scaling the High Cascades where the air is thin, the mountains are wild, and the views are out of this world. Why you should go: A web of paths to choose from with multiple activity options and views of downtown Portland. Rising above the residential neighborhoods in Southeast Portland, Mt. 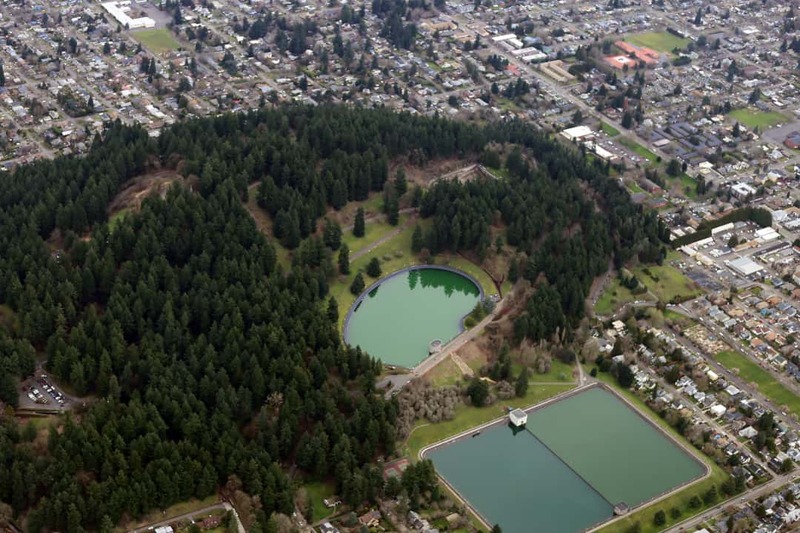 Tabor Park is home to three reservoirs, an amphitheater, a playground, a dog park, and many more recreational gathering spots, all of which are connected by the various roads and walking paths that spiral uphill toward the view of downtown Portland at Mt. Tabor’s summit. Mt. 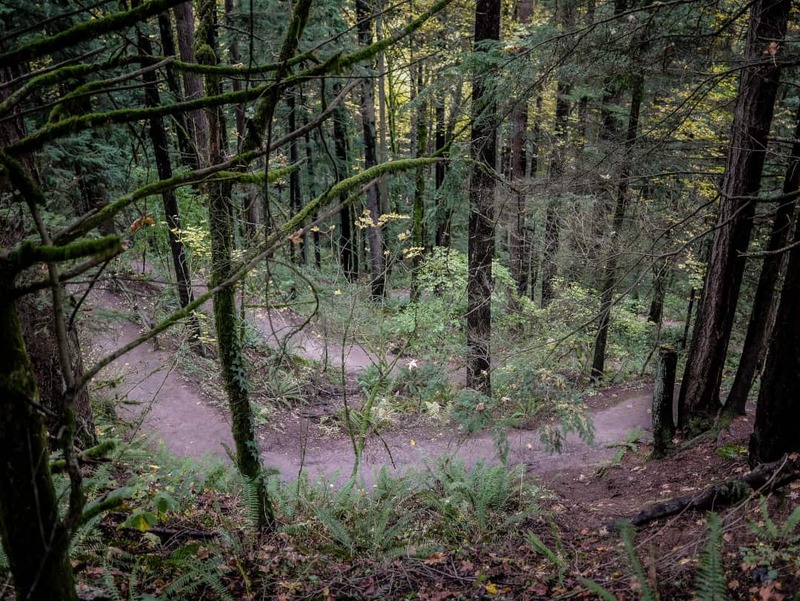 Tabor has paths for all skills levels and is a Stumptown local favorite. The network of pavement, dirt tracks, and concrete stairs allow you to pick your difficulty level. Cling to the western slope for constant views of the reservoirs and the city they sustain, or find more secluded and wild paths on the hill’s eastern flank. Why you should go: Get in a long walk without ever having to stray far from downtown. 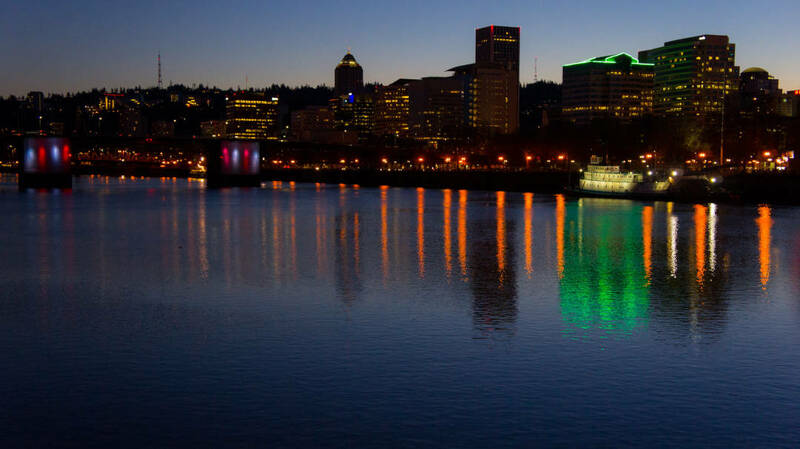 The iconic Portland waterfront spans the Willamette River across the entire length of the Rose City. Covered in landscaped greenways and riverside parks, the Portland River Loop is a beloved outdoor retreat smack dab in the middle of town. Complete this loop or make your own by crossing any of Portland’s pedestrian-friendly bridges. On the west bank, downtown access is only a block away. Walk this portion on a Saturday to catch Portland’s amazing Saturday Market. On the other side of the river, the Eastbank Esplanade is a floating walkway that offers picture-perfect views of downtown. Hit up any of the numerous cafes and restaurants along the route, and end your walk with a visit to the popular Oregon Museum of Science and Industry. 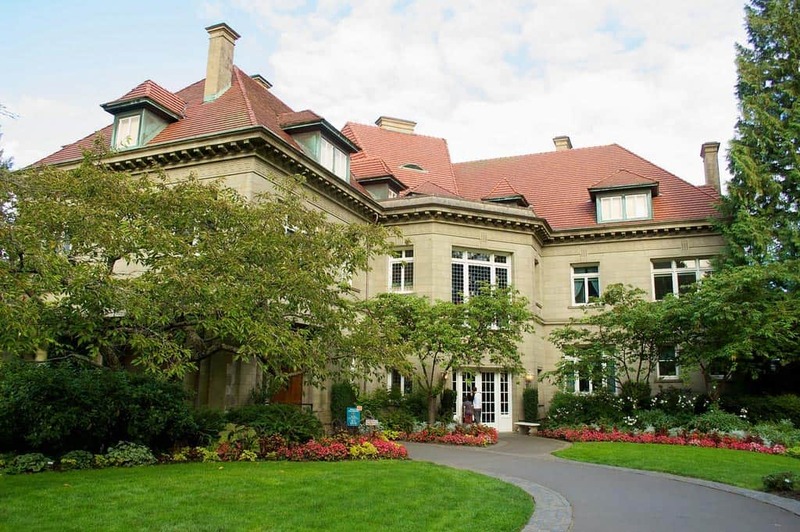 Why you should go: Tour the 46-acre estate and take in the sweeping views of Portland. Forget all about the city as you start your hike in a temperate rainforest at the Lower Macleay Trail in Macleay Park, which is an easily accessible entryway into Northwest Portland’s larger Forest Park. Babbling brooks and rustling leaves drown out the noise of the city. Coniferous trees, thick ferns, and moss-covered rocks encase this trail in a world of green all year round. As you climb, though, the sounds and sights of the city return. At the top of the climb is Pittock Mansion, a 46 room French-Renaissance style chateau that is owned by Portland’s Bureau of Parks and Recreation. The building is open to tours and resides on a landscaped estate with panoramic views of the city below. Why you should go: Learn about over 9,000 plant and tree species from around the world. Hoyt Arboretum is a 185-acre wilderness with over 12 miles of interconnecting trails that guide visitors through a vast array of plant life. Though the trails are a bit all over the place, Hoyt Arboretum’s visitor center provides free maps with trail recommendations. Take a short loop around the visitor center for a quick walk, or delve deeper into the forest where exotic plants take comfort in the shade of the larger conifer and magnolia trees. The variety of plants in the arboretum means blooming flowers can be found throughout most of the year. Why you should go: Sightseeing Portland favorites such as the Oregon Zoo and Japanese Garden. Washington Park is the beating heart of Portland. History, nature, and recreation collide here, forming a unique area of outdoor exploration in the middle of Rip City. Begin your mini-excursion under the guiding hands of the Sacajawea Statue and Lewis & Clark Column. From here you’ll pass through the landscape of the old zoo and into a Douglas fir forest. 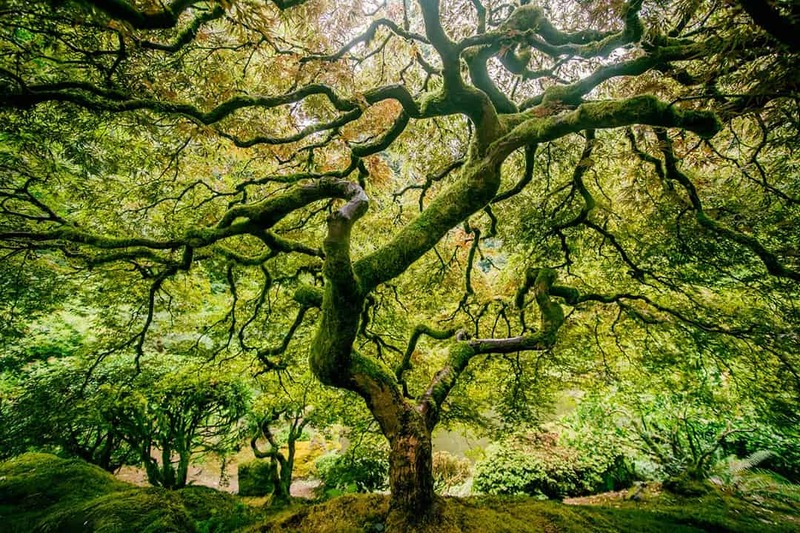 City sights will pop in and out of view until you make your way around to the unforgettable Portland Japanese Garden and its neighboring International Rose Test Garden. 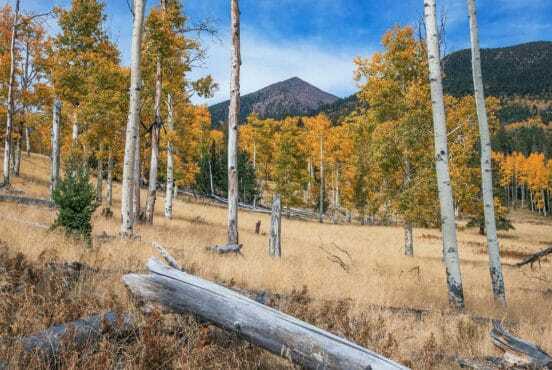 This easy four-mile walk can be drawn out to fill the day if you choose to stop and explore the interesting attractions that accompany its route, though the hike alone is a worth the trip. Why you should go: Tackle America’s longest forested urban trail. 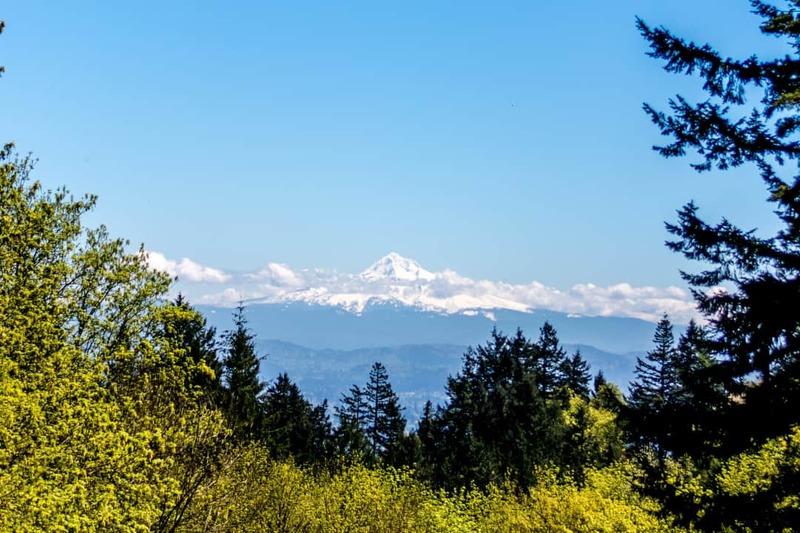 If you’ve already visited Pittock Mansion or Hoyt Arboretum, then you’ve likely walked on a part of the Wildwood Trail. Crossing the entire length of Portland’s massive 5100-acre Forest Park, Wildwood Trail is a well-maintained urban trail with many access points along its path. The first handful of miles from the southern terminus is where you’ll see the most people and climb most of the elevation. This is where popular Portland destinations like Pittock Mansion and the Japanese Garden reside. After mile six or so, the number of people on trail drops drastically. This green tunnel doesn’t offer many views, but the further north you travel the more likely you’ll spot different varieties of wild mushrooms and wildlife. Keep an eye out for banana slugs on the trail and pygmy owls resting on the branches above. Why you should go: An in-town creekside forest walk with leafy trees and western sword fern. Marshall Park was once a barren quarry but has since been restored to its natural beauty and is now thriving with ample underbrush beneath a canopy of maple trees, cottonwoods, alders, and cedars. There is a short 0.8-mile loop on one end of the park with a playground for families who are looking for an easy walk. If you’re inclined to go further, simply follow the creek path for the full three-mile lollipop loop. In winter months this simple hike turns rough as the creek swells and trail turns to mud. Bring hiking boots during the rainy season and be ready to cross the stream on a slippery log. Why you should go: Wilderness just minutes from downtown. This is Oregon’s only state park in a metropolitan area. 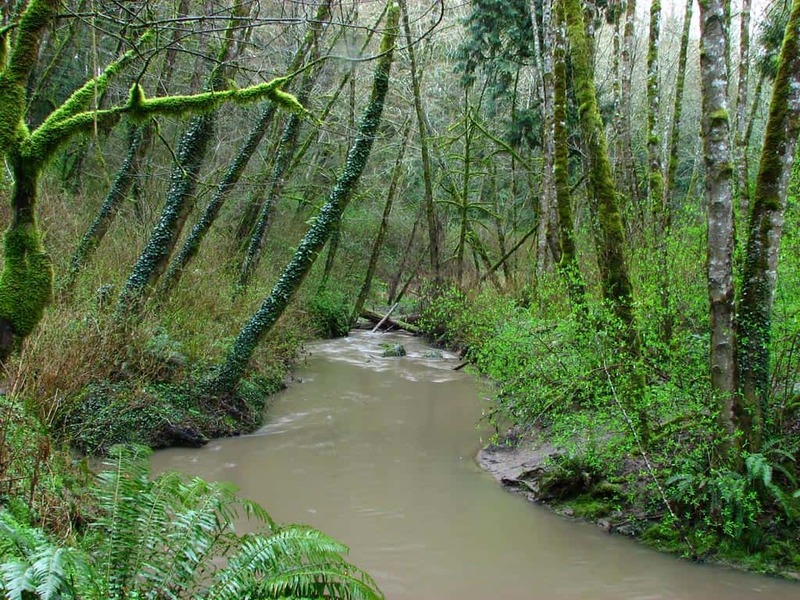 The Tryon Creek State Natural Area houses an enormous ecosystem within its 658-acre border. Adjacent to Lewis & Clark College and surrounding neighborhoods, Tryon Creek is a beautiful emerald amid the suburban sprawl. The Triple Bridge Loop is but one of many paths to choose from in this outdoor haven popular with local joggers and nature lovers. 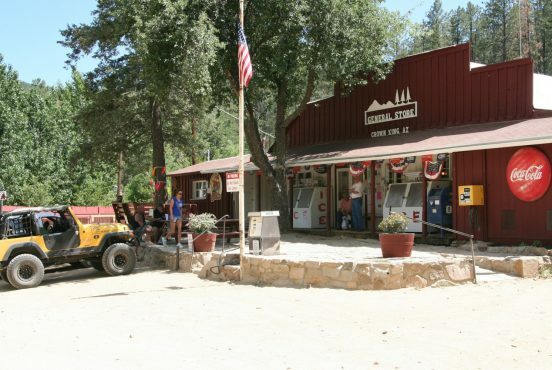 The loop offers a highlight reel of the area, taking you over several creeks and past the educational nature center. Woodpeckers set the natural rhythm of the day while songbirds and wildflowers bring color (other than green) to the shaded forest. At night, ribbits of frogs take over the beat as hooting owls and swooping bats add to the eerie din of night. Keep an eye out for beaver dams as you cross over the different creeks. Oregon’s state animal is a rare treat to see near such an urban area. 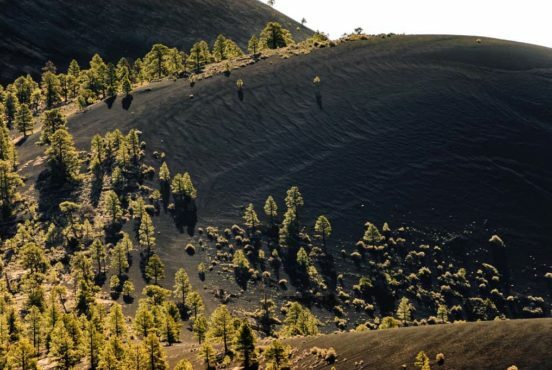 Why you should go: Viewing plaza with five snow-capped volcanoes on the horizon. There are several trails in Portland’s Southwest Hills that span the surrounding neighborhood and parks, a few of which make their way toward Council Crest. 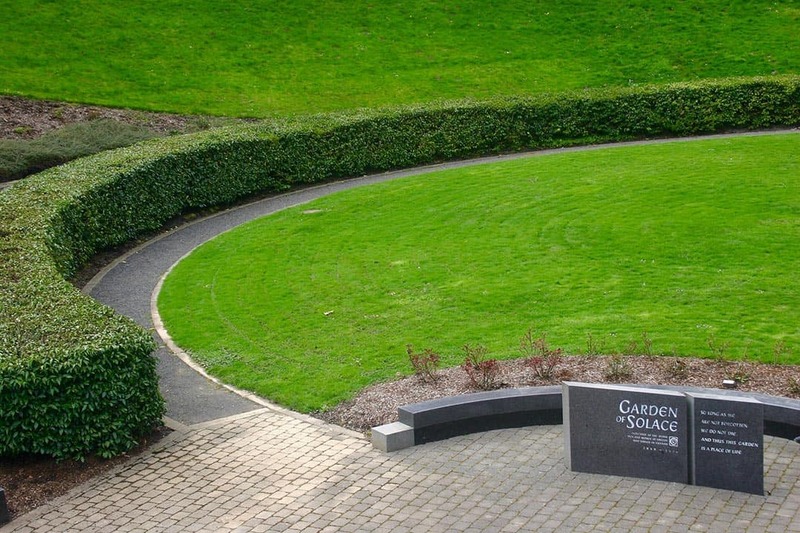 Standing at 1,073 feet, Council Crest is the highest elevation within Portland city limits. This three-mile out-and-back starts from the Marquam Nature Park Shelter Trailhead then continues as a gentle climb under a forest of maple trees. On a clear day, white mountain tops reign over the horizon. To the south, Mt. Jefferson stands solitary above all else in view, while to the east Mt. Hood overlooks the Rose City. Not to be forgotten, Mt. Adams, Mt. Saint Helens, and Mt. Rainier show off Washington’s High Cascade beauty to the north. Why you should go: Wetland walking and migratory bird watching. 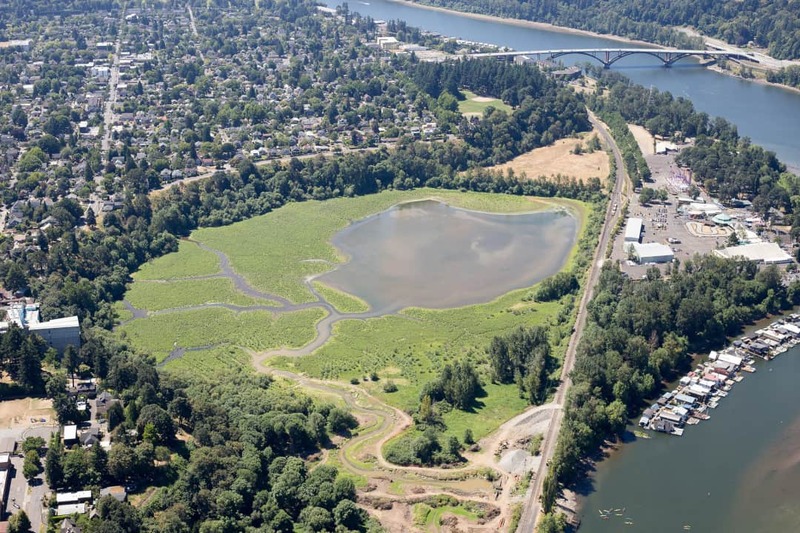 Oaks Bottom Wildlife Refuge was saved from its dual fate as both a landfill and amusement park by Portlanders who argued in defense for its importance to local and migratory bird species. Since saving and cleaning up the wetlands, 185 bird species have been documented in the refuge. The Oaks Bottom Trail is comprised of paved and gravel segments above the marshland ponds. Walk through copses of Oregon ash and black cottonwood while ospreys soar overheard, heron stalk the shallow waters, and goslings paddle after their mothers. City sights are within view the entire time, including a vibrant wildlife mural on the nearby Portland Memorial Mausoleum which happens to be the largest hand-painted mural in the country. An interpretive area around Tadpole Pond is adorned with informative signs and bird feeders that makes for a great place to relax on a bench with a book or a pair of binoculars. Watch out for poison oak! Why you should go: Take the family out for some fishing and a game of horseshoes to bookend this lakeside hike. The Wapato Access Gateway Trail circles around seasonal Virginia Lake where the waterfowl and rowboats play. The parking lot and picnic area at Hadley’s Landing may get crowded with weekend visitors, but not everyone ventures onto the trail. Educational signposts mark the trail and explain what bird species can be found visiting the lake. Grab your binoculars for this one. Not only will there be plenty of geese, ducks, buffleheads, warblers, and other birds to see, but also frogs, turtles, and beavers call this place home. It’s a veritable feast for your nature-starved eyes. Why you should go: Stroll through the Oregon Coast Range’s eastern foothills and country pastures. Rails-to-Trails Conservancy has converted a number of defunct Oregon railways into gorgeous nature trails. 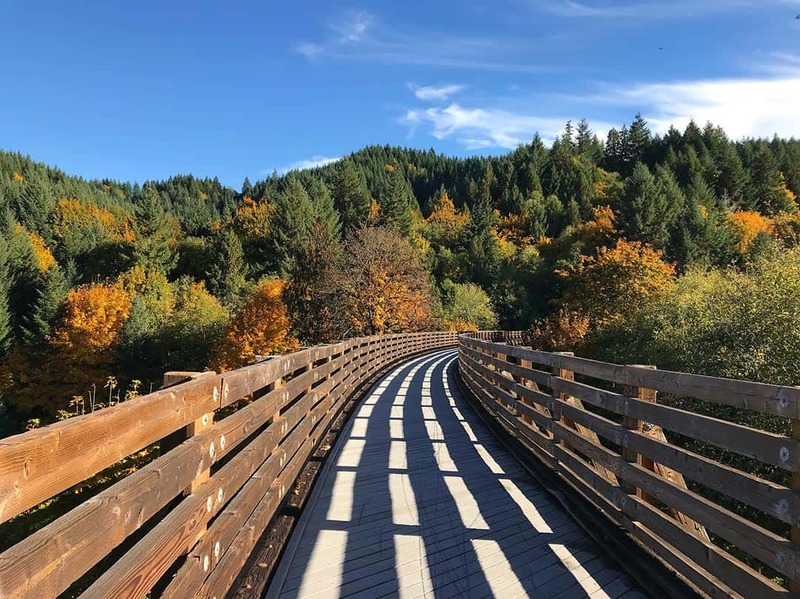 The Banks-Vernonia State Trail was Oregon’s first Rails-to-Trail project when in 1990 Oregon State Parks began converting the old timber rail line into what is now a fully paved recreational trail. Walkers, joggers, bicyclists, and horse riders are all welcome to travel any length of the Banks-Vernonia State Trail. Pastoral landscapes cover the rolling hills, creating a pleasant path through Oregon’s countryside. Pass over thirteen old rail bridges and catch a glimpse into Oregon’s industrial past. Make a weekend of the journey by utilizing the walk-in campground at Stub Stewart State Park. Why you should go: A spectacular 224-foot waterfall pouring over columnar basalt. Take a joyride on the Historic Columbia River Highway where you will find a wealth of day hikes constructed around towering waterfalls. Latourell Falls is the nearest of these Columbia River Gorge waterfalls to Portland, and it’s one of the most spectacular sights along this scenic drive. Cross over a series of wooden bridges and log crossings as you follow the creek upstream toward the waterfall. Moss-covered maple trees and salmonberry thickets are perpetually dampened by the windblown falling mists, and a parade of wild irises push through the spongy forest floor to bloom trailside in the spring. 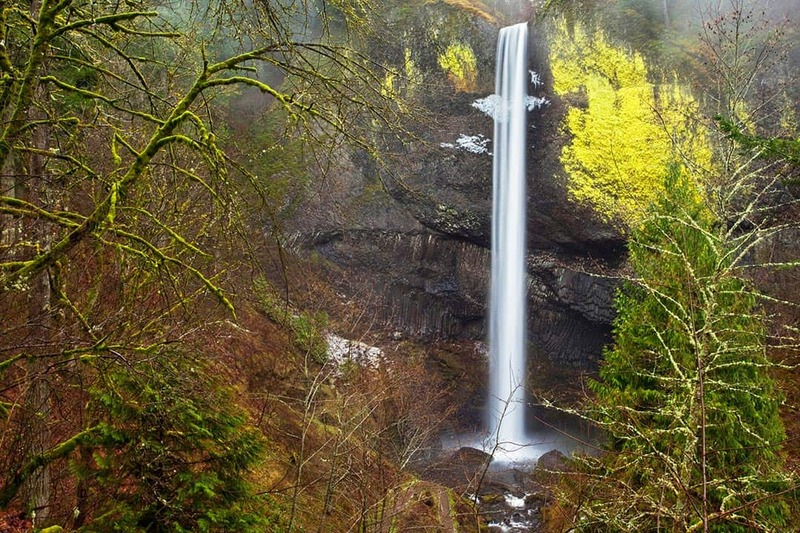 Latourell Falls is a spectacle that catches your eye at every opening in the brush. The falls pour over the lip of a columnar basalt ridge and plunge hundreds of feet past golden lichen and dark rock toward a picturesque, verdant-rimmed pool at its base. Why you should go: The tallest waterfall in Oregon and several of its cascading neighbors. Visiting Portland or new to the area? 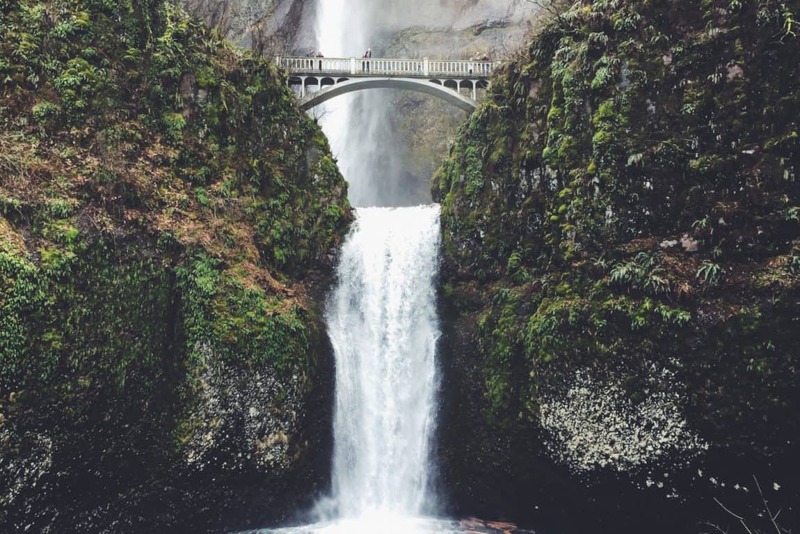 The one must-see every Portlander will tell you to visit is Multnomah Falls. 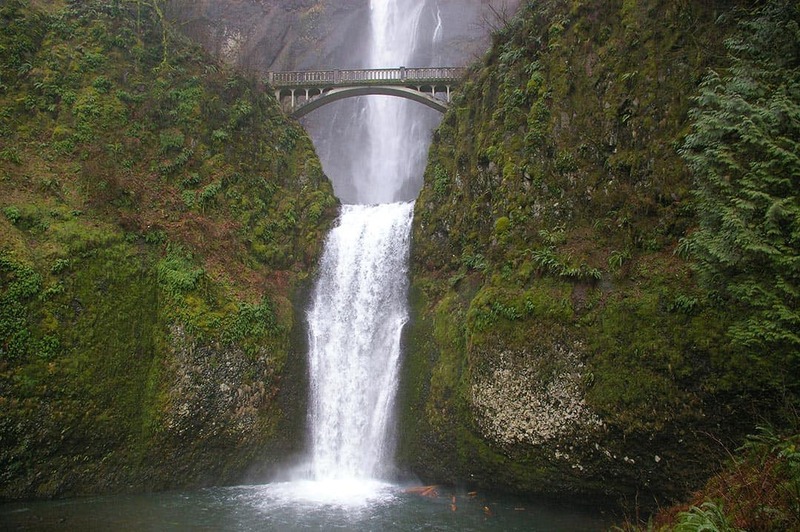 Just a short drive away from Latourell Falls, Multnomah Falls cannot be missed, literally. The massive 620-foot two-tier waterfall is easily seen from the highway, plus the expansive parking area and abundance of roadside signage will not allow this beauty to go unnoticed. The base of Multnomah Falls is as picturesque as any other special place in the world. Walk past the cute lodge to the lowest viewing platform where you can stand in awe at the wonder before you. Take your time to see Multnomah Falls from every angle as you walk up the trail, over the fall-crossing footbridge, and hike up over a dozen switchbacks beside the waterfall’s falling waters. View the falls from up high at the final observation platform, then wind your way over the ridge, through the woods, and past an assortment of sky-high views overlooking the gorge. As you hike the route you’ll walk under the naturally-formed Dutchman Tunnel and discover five additional scenic waterfalls, each one impressive and unique. Finish the loop by grabbing a refreshing drink at the lodge and take the opportunity to get up close to Multnomah Falls one last time before heading back to your car. Why you should go: Visit the Washington bank of the Columbia River for a multi-layered waterfall and views of Oregon. 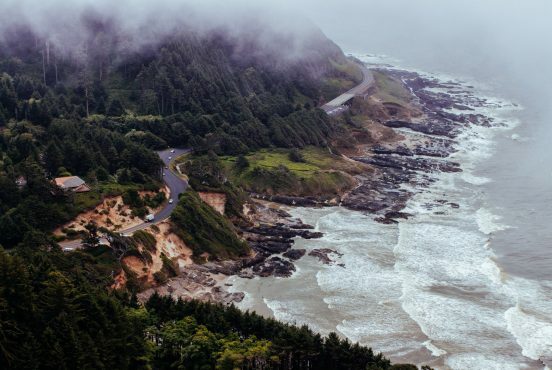 Not far from Portland, Cape Horn is a popular destination among city-dwellers for a quick nature escape. Prepare for rocky terrain as this trail passes over basalt cliffs and traverses a major rockslide. 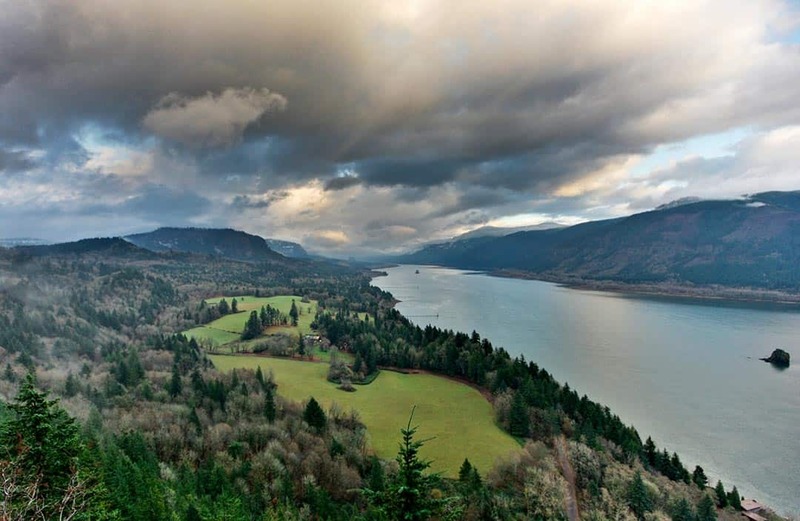 Excellent views of the Oregon side of the Columbia River Gorge, with highlights such as Multnomah Falls and Silver Star Mountain, make this trail worth the trip to Washington (just kidding, Washingtonians!). Cape Horn Falls and Cape Horn Railroad Tunnel are what make this trek special. The multi-tiered Cape Horn Falls can be seen from several different viewpoints. The waterfall’s wispy, spindly tendrils weave through the rockface and make for a setting more serene than do the more powerful waterfalls on this list. The Cape Horn Railroad Tunnel Viewpoint is an excellent spot to rest for lunch where you can watch trains snake through the cliffside tunnel as river traffic passes below. Why you should go: Grand views of the Columbia River Gorge, Historic Bonneville Dam, and Mt. Hood. Starting in the town of Bonneville near the base of the Bonneville Landslide, the Bonneville Trailhead is the starting point which guides hikers to the rocky terrain of the Tamanous Trail (Tamanous is a Native American word that roughly translates as “vision quest”). As you turn north at the Pacific Crest Trail junction you will cross several clear-cut sections stripped by loggers before entering a dense, green forest. 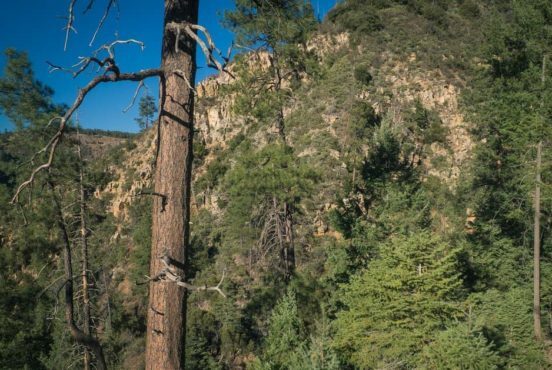 Enjoy the miles of gradual ascent along the well-graded, well-shaded Pacific Crest Trail because things are about to get steep. The West Table Mountain Trail is littered with loose gravel and completely exposed. 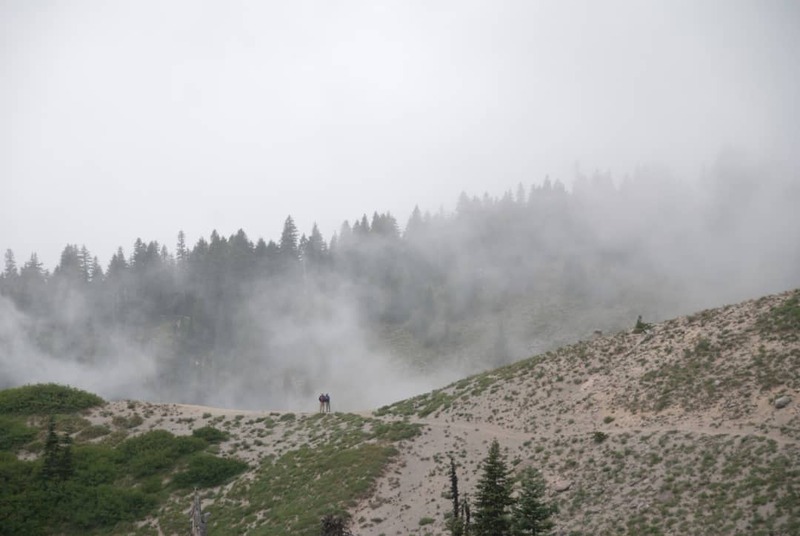 Even experienced hikers will find the final ascent challenging, especially if wet weather has turned the underlying gravel dust into slick mud. The flat “table” top of the mountain is worth the toil, though you may want to leave your dogs and young children at home for this one. From high above you can see down a long stretch of the Columbia River Gorge, including where your hike began down at the Bonneville Dam. For those interested in Oregon’s hydroelectric history, this is a dam good hike. Why you should go: Experience the crest of the Cascades at Mt. Hood. Dominating the eastern horizon of the Greater Portland Metro Area, Mt. Hood is a snow-capped monolith that stands as the tallest mountain in all of Oregon at 11,250 feet. Though it’s a bit of a drive to Mt. Hood, the mountain is undeniably a Portland icon and holds an incredible swath of wilderness worth exploring. The Timberline Trail has numerous access points, but the most popular starting location is at the famous Timberline Lodge. A feeling of insignificance washes over your being as the towering peak of Mt. Hood stares down at you, but if you turn to look over the horizon you will see that you are standing equal to Oregon’s other mountainous monsters. To the south is a life-goal-worthy view of The Three Sisters, Broken Top, Mt. Bachelor, and Mt. Jefferson laying out the southbound path of the Cascade Mountains like a connect-the-dots travel map. The Timberline Trail becomes a part of the Pacific Crest Trail as it wraps around Mt. Hood’s western slope. You’ll drop down canyons and climb over high ridges as you skirt around the mountain– this trail is arduous. Creek crossings can be dangerous, especially so during spring and early summer when snowmelt levels are at their peak. Fording is required in several locations. Beware of the Sandy River. It’s best to cross dangerous streams with others around– if you’re hiking alone it would be best to wait for someone else to show up before attempting to cross. Check out these tips for crossing streams. The southern slope offers views of Washington’s Mt. Saint Helens, Mt. Adams, and Mt. Rainier. Once you’ve made it to Mt. Hood’s the eastern flank, the flat emptiness of Oregon’s desert comes into view. It is simply mesmerizing. This is the trail to hike if you want to see the glory of the Pacific Northwest from above. Why you should go: A taste of Mt. Hood and a direct route to the mystical Ramona Falls. 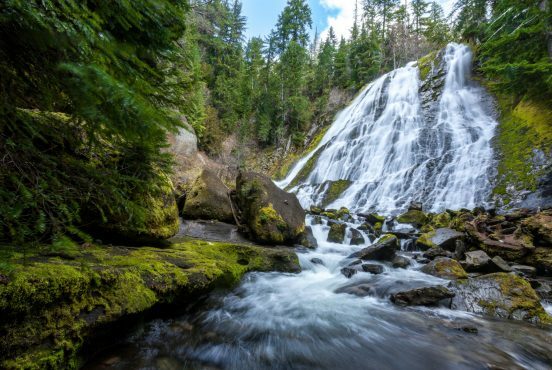 Ramona Falls is accessible via the Timberline Trail, but for those who aren’t looking for a difficult backpacking excursion can reach these exquisite falls from a closer trailhead on a more reasonable hike. Start on a wide, sandy trail that climbs through mountainside forest comprised of stunted hemlock, lodgepole pine, and manzanita. The trail crosses several glacial river crossings that can be difficult to cross when the water is high. The bridge at the Sandy River crossing has been washed out and the Forest Service has decided not to replace it, so use the same creek-crossing caution described above to get across the river. You’ll be exposed at these heavily eroded water crossings, but when that is all said and done the trail takes you to back into a lovely green forest beside the babbling Romona Creek. 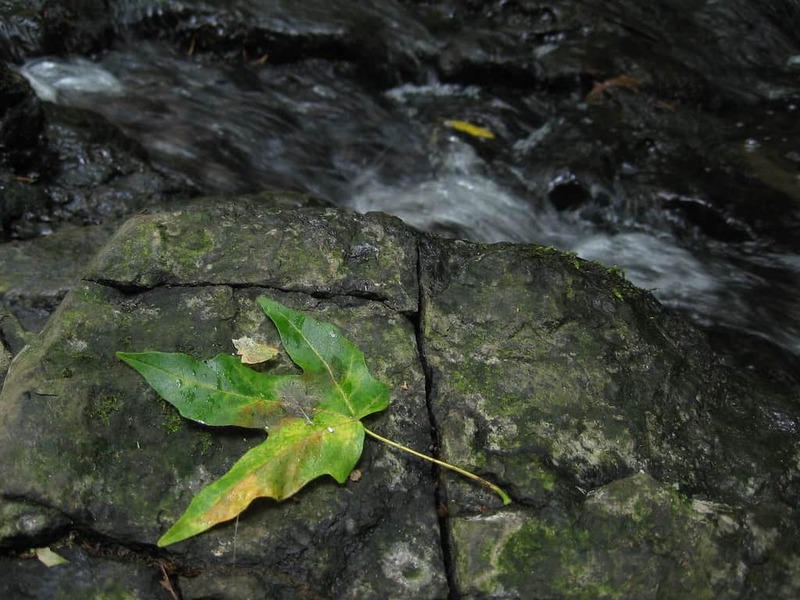 Walk over soft dirt and forest duff until you’ve arrived at Ramona Falls. 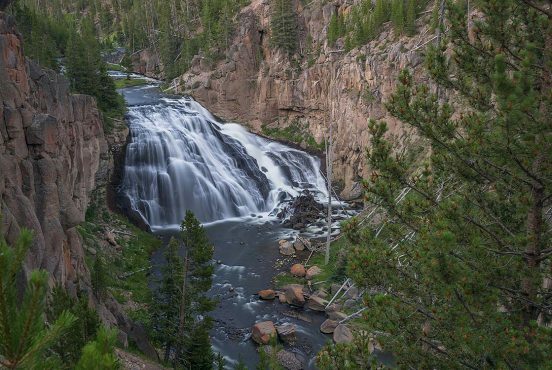 Ramona Falls is a natural masterpiece, more beautiful than any work of art. Words and pictures cannot begin to describe it. There are several short side trails leading away from the falls which are home to a number of camping areas. Stay for a while. Wander, wonder, and enjoy your time here. 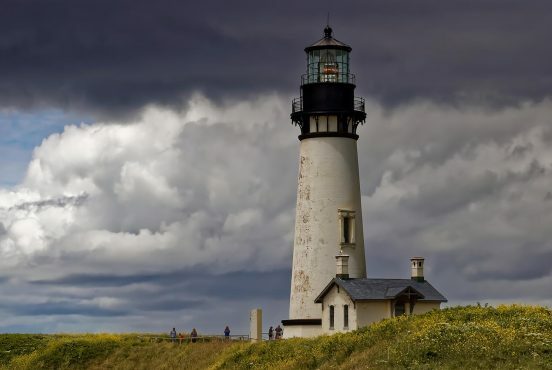 For more adventures, check out our other Oregon hiking guides, like the 25 Best Oregon Coast Hikes and our Hiking Guide to the Oregon Coast Trail. 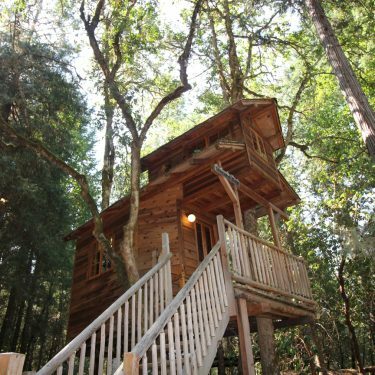 You can also find some of the best cabin rentals on the Oregon Coast, or stay in a one-of-a-kind Oregon treehouse. Arthur loves to walk. It’s as simple as that. Whether it be in the mountains, on the beach, or along the city streets — he believes walking is the best way to experience the world. Thru-hiking the Pacific Crest Trail was his first backpacking foray, and he hasn’t stopped crushing miles since. Arthur and his wife now regularly travel into the wilderness of the Pacific Northwest seeking new trails to hike. Follow his adventures at arthurmcmahon.com and on Instagram.